As the manufacturing industry is being democratized by 3D printing, the technology is also being studied, researched, tested and used by people from across sectors. The technology is not restricted to engineers but even designers, hobbyists, and enthusiasts are using the technology and building products. But 3D printing is not as automated as any manufacturing technology generally is, in fact, it involves a lot of trial and error methodology. By gaining experience through constant alterations and tweaks in settings and experiencing failed prints, users are learning about the nuances of the technology. Through the same practical experience, Manufactur3D brings you the ‘Road to 3D Printing Success’ series, where we will focus on helping every 3D printing enthusiast by sharing tips and techniques on how to succeed in 3D printing. By explaining how to work with various filaments, slicers, design software and even 3D printers, we aim to help users to always experience a successful print. In this article, we will explain how to succeed while 3D printing with Flexible Filament. As the name suggests, a flexible filament is an elastomer generally made of Thermoplastic Elastomers (TPE) which is a combination of polymer and rubber. The amount of rubber in the mixture will determine the elasticity of the filament and depending on the application it can be manufactured. Flexible filaments are often found in two types, Thermoplastic Elastomer (TPE) & Thermoplastic Polyurethane (TPU). Both these filaments are more or less similar but offer slightly different properties. TPU offers more rigidity than TPE and hence is comparatively easier to print. The flexible filaments are easily bent and twisted on the application of force but they return to their original form upon removal of the force. Unlike many of the 3D printing filaments which can be printed at high speeds, flexible filaments have to be printed at extremely low speeds. Materials like PLA, ABS, etc. are hard and they are easily extruded at high speeds but being elastic and soft, the flexible filaments are difficult to extrude. If the extruding speed if fast then the extruders pull the filament and this leads to stretching of the filament which will cause under-extrusion. This leads to failed prints. Therefore to succeed, it is important to go slow and steady. The print speeds should be close to 20 – 30 mm/s. Slower the speed better will be the printing. While some experts believe it is safe to use the Bowden tube, there are others who argue that to avoid failure the material should be fed directly into the extruder assembly eliminating the tube for flexible filaments. It is also important to have a consistent feed-rate. Sudden changes in the feed will stretch the material or block the extrusion path again leading to failures. While the initial layers have a high feed rate, the settings should be checked for such areas where the changes might be sudden and appropriate corrections should be made. It is a commandment that retraction should be completely avoided while printing with flexible 3D printing filament. 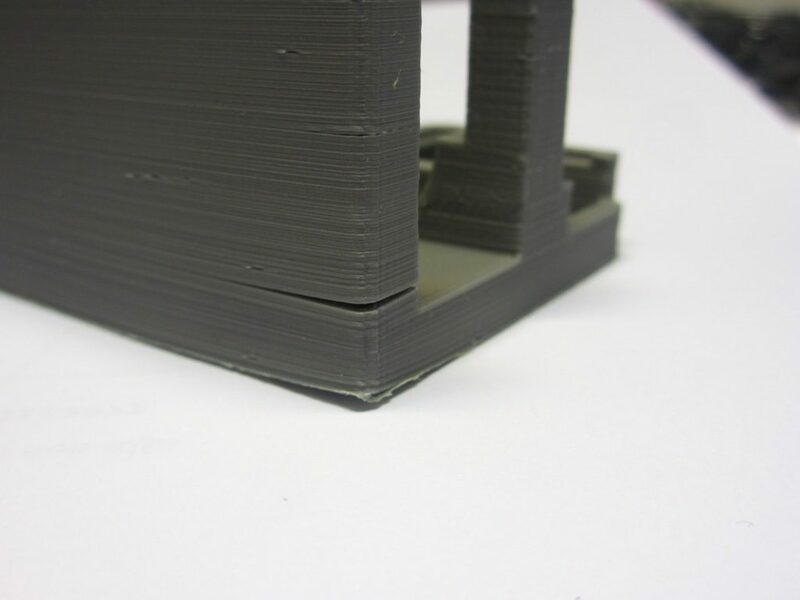 The constant extrusion and retraction will cause problems while printing. Sometimes, it will under-extrude and at other occasions, it will over-extrude and will even clog the extruder assembly. It is always recommended to dry the filaments before printing. Even though people avoid this simple step it is additionally important to dry a flexible filament before actual printing. Filaments are generally dried in a convection oven at 70oC to 90oC depending on the type of material to be dried. It is important to understand which material you are drying before setting the temperature. 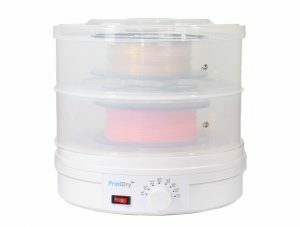 The oven should be pre-heated and then the spool should be dried for around 4-6 hours. After drying, the filament must be stored in an airtight container with a desiccant. Note: Consult the manufacturer before doing this. A dried filament always prints better and gives out better results. The prints are smooth and look and feel good to touch. It also reduces the chances of filaments breaking mid-way during printing. Filaments are also dried in specific products developed for drying of filament spools. 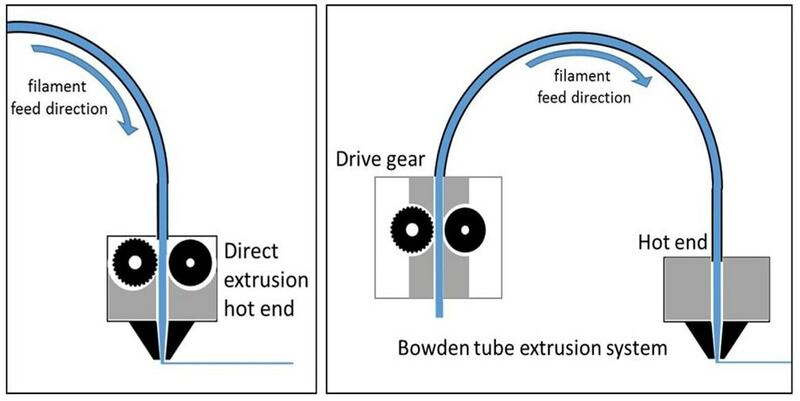 For flexible filaments, the direct drive extrusion systems work best. Since in a direct drive system, the material is fed directly into the hotend after extrusion, whereas in the Bowden extrusion system, the extruded filament passes through a Bowden tube and then is fed into the hotend. It is very difficult to print with a flexible filament for printers without direct drive extrusion system. While printing in a printer with direct drive extrusion system, the gears pull the filament as it extrudes the material into the heater but while it does not pose a problem for hard filaments, it will definitely cause problems for flexible filaments. This may cause stretching of filament leading to under-extrusion. The farther the distance between the spool and extrusion assembly, the more the chances of the filament getting pulled and stretched. So, it is recommended that the pool is mounted close to the top of the printer and in this way, the filament drops under gravity and is not pulled. If you are keeping a close watch on the printing then you can keep a small amount of filament unrolled to avoid stretching. Note: You will have to keep a close watch so that the unrolled filament does not get tangled. If you see a lot of strings, then you need to incrementally lower the temperature. Stringing occurs due to melting additional length of material than it ideally should. The extra melted material continues to drip and as the extruder moves, it sticks to the layer and causes strings. So the problem here is high-temperature. Lower the temperature incrementally and observe the print. Stop when the stringing stops. If you see that the material is not sticking to the previous layer, i.e. poor layer adhesion, then you can deduce that the temperature is low. You need to increase the temperature of the heater so that it appropriately heats and melts the material. Continue to increase the temperature until you see clear lines being printed. Note: While the manufacturer may share the ideal print temperature factors like ambient temperature, humidity, filament moisture content, printer settings and calibration affect the actual printing temperature. While designing a tight fit part with a flexible filament, the tolerances should be kept negative as the flexible part can be stretched to fit on the other part. This will keep the fit tight. A positive tolerance will be loose and it will only loosen more with usage. Flexible filament generally has good bed adhesion and even a simple glue or a painters tape on the build platform, or a bed like a PEI will help in better first layer adhesion. 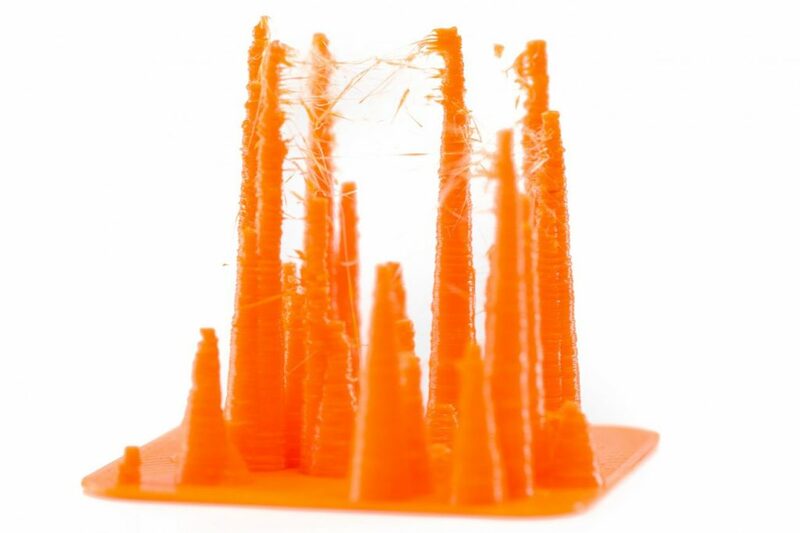 While printing with a flexible filament, keep the initial layer height within the 0.1mm – 0.2mm range. Since small layers improve layer adhesion the print has more chances of success. While the desktop 3D printing is devoid of standardization across the brands, this is actually a blessing in disguise. The desktop printing is a democratized version of the industrial 3D printing technology and it will continue to work on a trial and error basis. It is important to always try to experiment and tweak print settings to achieve better print results. Through the ‘Road to 3D Printing Success’ series, we at Manufactur3D will continue to bring informative articles to help enthusiasts across the world to learn about this amazing technology. We encourage readers to comment and contact us for any sort of 3D printing query they have and we will try to resolve it for them. About Manufactur3D Magazine: Manufactur3D is an online magazine on 3D Printing which publishes the latest 3D printing news, insights and analysis from all around the world. Read more such informative articles on our 3D Printing Info page.